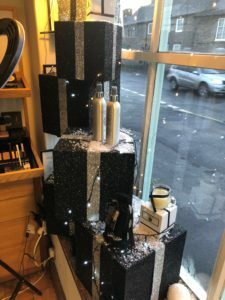 Christmas has arrived at Salon Ten! 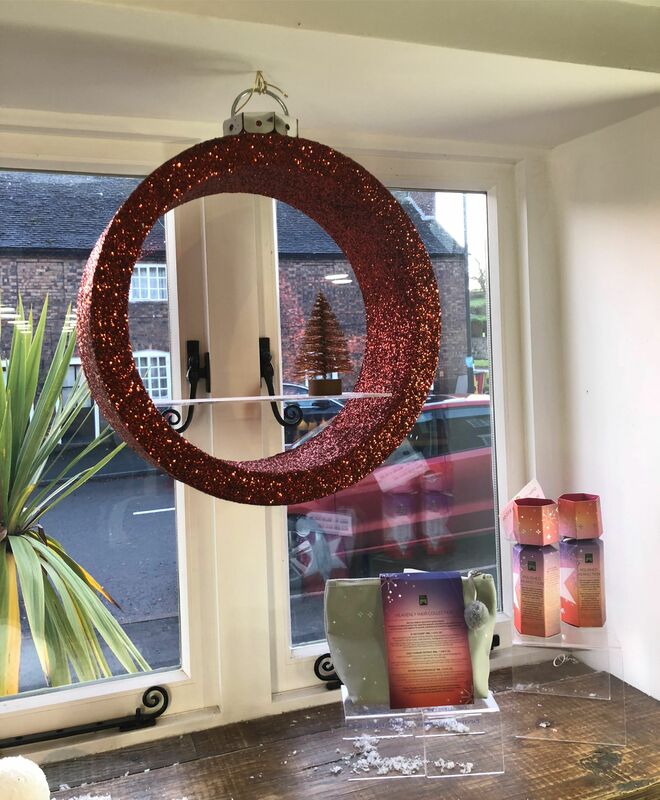 It’s great to see that Christmas has arrived at Salon Ten! 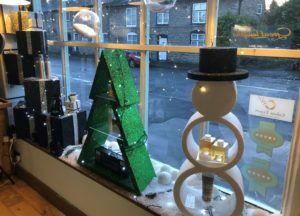 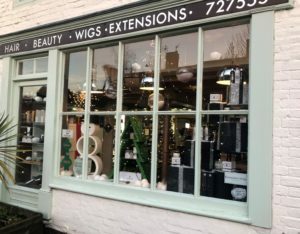 The window has been tastefully decorated with our tree, snowman and bauble VM shelves, glitter presents and clear plastic balls filled with artificial snow! 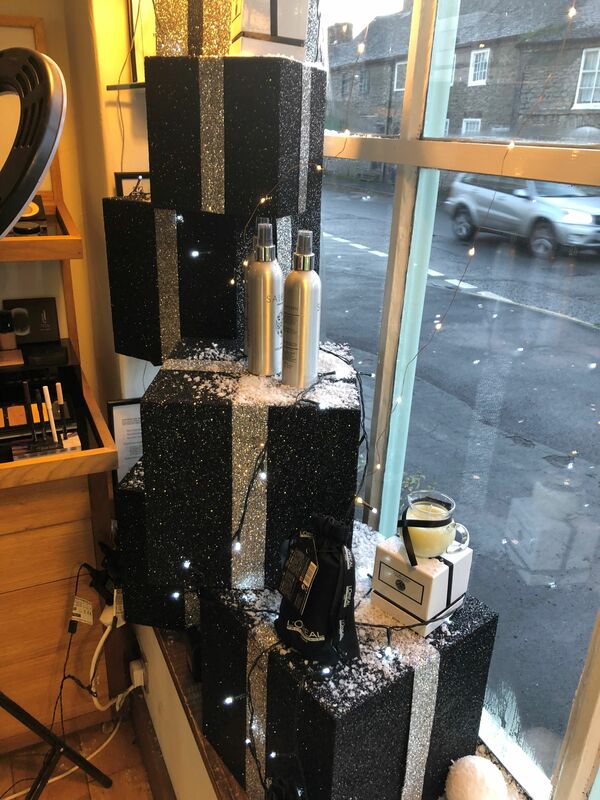 We love the stack of glitter presents! 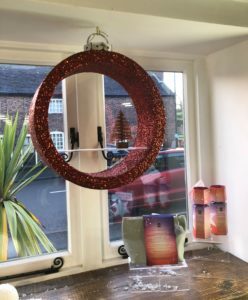 These are great to display small items of merchandise, while being decorative items in their own right. 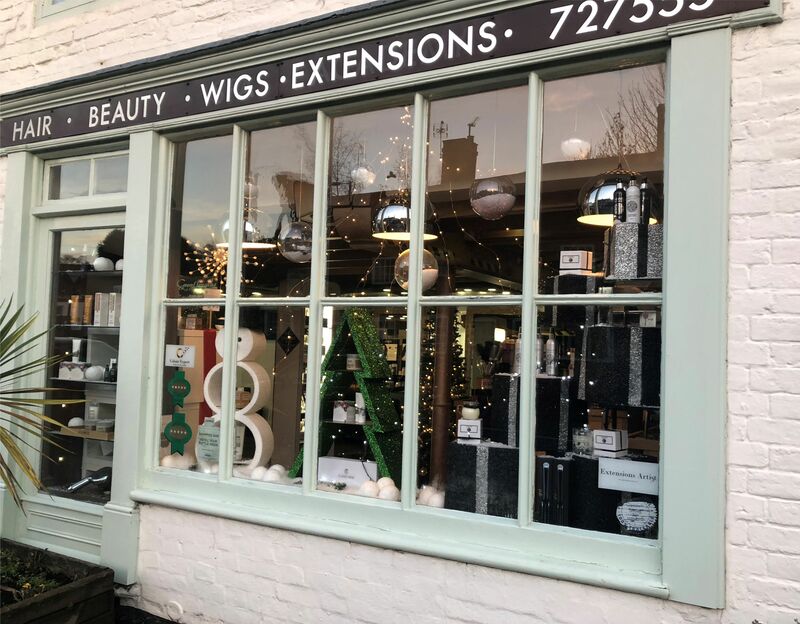 At Graham Sweet Studios, we design and manufacture a wide range of display props and decorations which are ideal for occasions and events throughout the year!